Originally published under the title "Wrong, Minister — This Is How Religious Freedom Works." 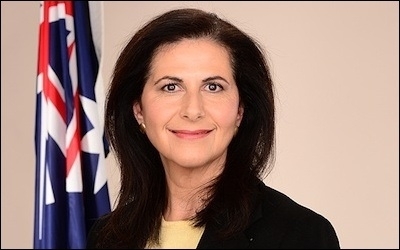 Australian Assistant Minister for Multicultural Affairs Concetta Fierravanti-Wells is deeply misinformed about Islam and other religions. Writing in The Australian, Concetta Fierravanti-Wells has attempted to throw light on the challenge of Islamic radicalism. She offers a "reality check" by injecting what she asserts are "basic facts" into the public debate. However, she succeeds only in promoting misinformation and multiplying confusion. Why must the Assistant Minister for Multicultural Affairs present Islamic dogma as incontrovertible fact? Fierravanti-Wells astonishingly declares the Koran to be "a collection of revelations from God to the Prophet Mohammed." Does she really accept it as a basic fact — for the purpose of public debate — that Mohammed was God's prophet or that the Koran is a genuine revelation from God? Surely only a believing Muslim could make such a declaration and mean it. Why can Fierravanti-Wells not show more sensitivity to disbelievers in Islam — most of her audience — by adopting an objective stance, for example, by saying "Muslims believe the Koran to be a collection of revelations from God", or "Muslims believe Mohammed to be a prophet"? It isn't true that all world faiths but from Islam have intermediaries between God and the individual. Fierravanti-Wells also misrepresents other faiths. It is not true that all world faiths apart from Islam have intermediaries between God and the individual. Most Protestants around the world do not recognise a hierarchy of clergy, and a great many Christians do not accept that there are intermediaries between themselves and God. To project supposed attributes of Catholic Christianity on to all Christians as part of an apology for Islam is not basic fact but propaganda, pure and simple. Why does Fierravanti-Wells not understand that many Christians will see her list of "basic facts" as a crude distortion of what they believe? Does she really mean to imply the Christians of the world have a single overarching authority to "establish or forbid" religious practices or interpretation of the Bible? They do not. In this respect Muslims are no different from Christians. Of course some Christians do recognise an authority for their own denomination, but so do some Muslim sects. Many Christian groups do not recognise priests and they believe that any Christian can fulfill a role of preaching or leading worship. Many would believe that any Christian can gather a flock, plant a church, or function as pastor to it. The fact not all denominations allow such licence is beside the point. All over this country Christian congregations are being started all the time by lay people. The claim that there is no overarching authority in Islam is misleading. There is, moreover, no single overarching system for training Christian clergy in Australia but a multiplicity of systems and training options. Equally misleading is the claim that there is no overarching authority in Islam. Many Islamic countries, such as Egypt, have a public official known as the mufti. The mufti's function is to pass authoritative rulings at a national level on religious matters. Moreover the Organisation of Islamic Cooperation — the UN of Islamic states — has established a peak religious body, the International Islamic Fiqh Academy, which issues authoritative rulings on religious matters. This academy draws on the leading authorities on Islam and is backed by the considerable political clout of the OIC. It has been influential in several important areas, such as the international system of Islamic finance. 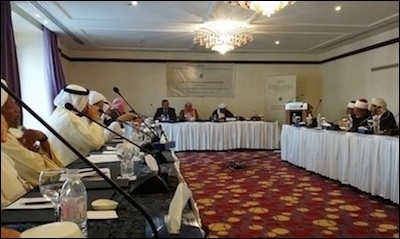 No Christian organisation has a claim to global legitimacy comparable to that of the International Islamic Fiqh Academy, seen meeting here in Jeddah, Saudi Arabia, in February 2015. Of course its rulings are not accepted by, or binding on, all Muslims, but there is no global Christian body that has that kind of authority either, and certainly no Christian organisation has a claim to global legitimacy comparable to that of the International Islamic Fiqh Academy. All these errors aside, the bottom line is that it is up to the Muslims of Australia who they choose to listen to and appoint as their religious leaders. If what Fierravanti-Wells implies is true, namely that most Australian Muslims want a moderate form of Islam preached in their mosques, then let them take steps to ensure this happens. If they are unhappy with their imams, let them replace them, or else vacate those mosques to frequent other mosques they like better, with imams whose teachings they find more congenial. This is how religious freedom works. It is precisely because Australian Muslims do have religious freedom that it is reasonable for Australians to hold the Muslim community to account for the utterances of their leaders.